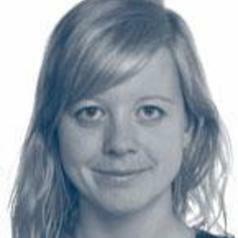 Nadine is Lecturer in International Conflict Analysis and a Research Fellow at the GIGA German Institute of Global and Area Studies in Hamburg. She is currently co-leading a project on “Security sector reform and the stability of post-war peace”. She has previously worked as Post-Doctoral Researcher for Grants and Impact at the School of Politics and International Relations, as Project Coordinator and Research Fellow in the project “Institutions for Sustainable Peace” at the GIGA German Institute of Global and Area Studies Hamburg (2012-215) and as Acting Junior Professor for Development Politics and Politics of Africa at Bayreuth University (2014-2015). Her research focuses on institutional reform in post-conflict societies, in particular security sector reform, the role of international state and non-state actors in these reform processes, and the conditions for establishing peace in divided and post-conflict societies. She uses a mixed-methods approach to explore dynamics and conditions of peacebuilding in sub-Saharan Africa and beyond.